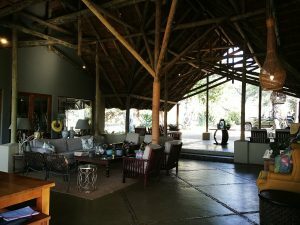 I enjoyed a fantastic fam trip to the Kruger (well I actually stayed in the luxury private reserves which border the national park) in August, and as it was my first time up there, I was super excited for what was in store and eager to check out the different properties and awesome wildlife South Africa had to offer! Sabi Sabi Earth Lodge was our first stop in the Sabi Sands area. We were greeted upon arrival at the Sabi Sabi airstrip with warm towels and bottles of water. The trip to the Lodge was about 10 minutes. We were so excited to see the wildlife, and as Earth Lodge is completely unfenced, seeing the odd animal around the lodge is always expected. A day before we arrived, we were told about a leopard who was caught walking into the bar area! 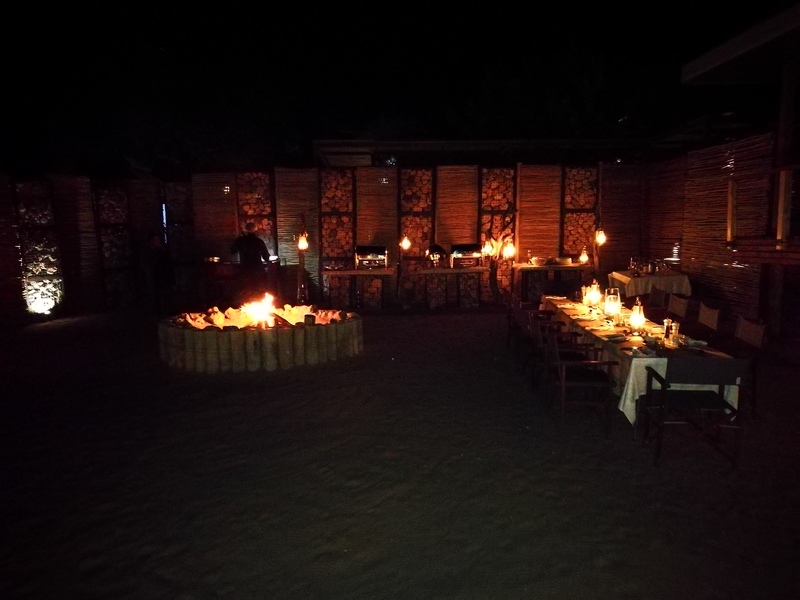 Earth Lodge is elevated, therefore as you walk down into the reception or lounge area, you walk into a beautiful setting with a view that is simply breathtaking. Greeted again with warm towels and refreshing drinks upon arrival, it was a great way to welcome clients as the Sabi Sands sun was out in all its glory. Earth Lodge is just beautiful and luxurious with gorgeous furnishings. 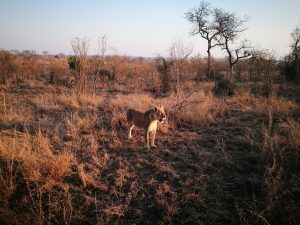 Whilst at Earth Lodge, we were spoilt with all the game we had seen on our game drives! We were blessed to see many amazing animals on our very first sighting. We saw, rhinos, hippos, elephants and many different antelopes within the area. On our way back to the lodge, we saw a pride of 16 lions waking up from a late afternoon nap. 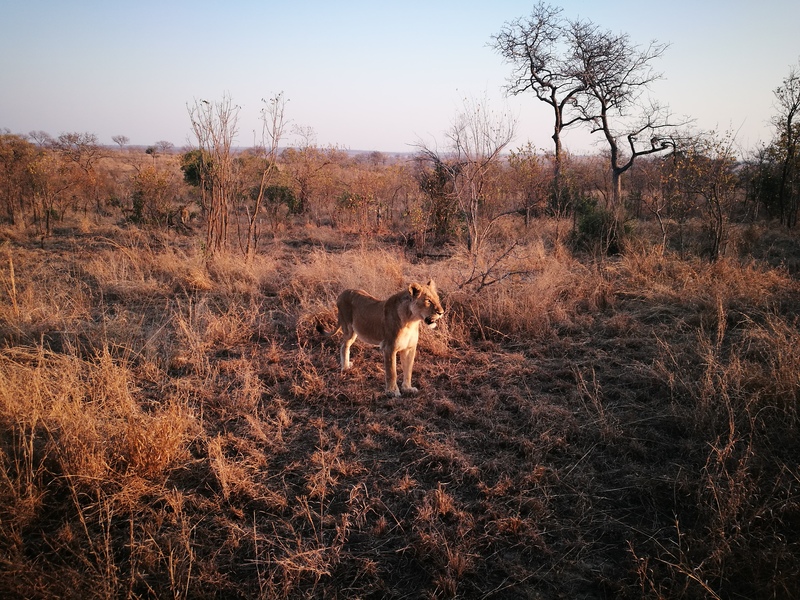 The next day, we saw zebras, leopard, hyena, did a bush walk where we got to see the elegant giraffes, spotted rare sightings such as the Civet cat and also the Servil which was a real treat! After each game drive, you stop at a remote location and enjoy the scenery with a glass of wine and snacks, which also gives you a chance to interact with fellow guests. The food and service were great, the game rangers were extremely knowledgeable and could always answer the many questions from all on board. The rooms are spacious and luxurious. The rooms are designed beautifully and offer views over the beautiful savanna. Dulini Lodge was quite a drive away from Sabi Sabi Earth Lodge. It took us almost 2 hours to get there. We first stopped at Dulini Leadwood Lodge, which is a small/intimate property with only 6 rooms. We then went on to Dulini River Lodge. Dulini River Lodge is a bit outdated in terms of their style and furnishings, but they are planning on redoing the entire lodge to give it a new, modern look. We had lunch at the restaurant, which had lovely views overlooking the river. Being located close to a river and a watering hole is the ideal place to spot many animals. All game drives have an early start in the morning, 05.30 wake up call, 05.45 coffee and snacks before heading out at 06.00 when your first game drive starts. Each game drive lasts about 3 hours or more depending on how good the sightings are. Their vehicles were much better than Sabi Sabi Earth Lodge. Dulini had Range Rovers and the seats were much more comfortable. When it was a bit chilly in the mornings, not only did they give us blankets and hot water bottles, but also fleecy ponchos which I must admit, everyone wanted to take home. The personal kit they provide in the vehicles was my favourite. They had thought of everything! All the things I brought along and had kept in my bag such as tissues, hand wipes, santizers, glasses to wear when the dirt roads were dusty. Dulini gives you that old Safari feel. I would recommend this property for your older clientele. Their service was amazing, the attention to detail, personal touches and the staff really did make you feel welcome, and even upon departure, a hug goodbye from the staff really makes you not want to leave at all! Driving from the Sabi Sands to Thornybush Game Reserve is quite a distance away. Arriving at Thornybush I definitely felt more relaxed than what I did at Sabi Sabi Earth Lodge, I think this had to do with it being fenced. It is always lovely walking into the lodges and seeing antelopes like the impalas walking around the garden area, it definitely gives you the feeling of being in the African bush. We did a few site inspections of the Thornybush lodges. Driving to the various lodges, we could see the difference in the wildlife. I felt as if at Sabi Sands, we were spoilt with all the wildlife in the area, whereas driving through the Thornybush Game Reserve, they were lacking a bit on the first night. Leaving Thornybush we headed north to Simbavati Hilltop Lodge. This property is further into the Timbavati Game Reserve and is a beautiful tented camp that overlooks a lake. It has 8 tented lodges, each with a private deck and outdoor showers. A gorgeous new spin on glamorous camping or glamping! The restaurant has a beautiful view that overlooks the lake, which is home to hippos and crocodiles, which may often be caught sun bathing on the bed of the lake, all whilst you’re enjoying a scrumptious lunch and a glass of wine. Sightings were excellent and the highlight was of course a pack of wild dogs. Young pups, playing around with some plastic they found, while mum tries to keep them all in check. Elephants were in abundance, these majestic giants have quite the personality. Coming home on the safari drive, we saw a leopard resting in the tree after feasting on a kill she had made earlier in the day. We returned to the lodge and enjoyed dinner in the boma area. I love the idea that when you have dinner you are joined by the game rangers. Sharing exciting stories about the bush over a glass of wine under the African sun is a perfect setting. 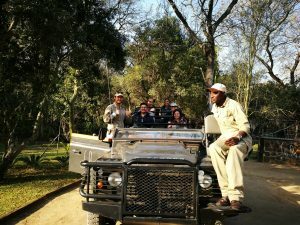 You also get to socialise and chat to the other guests that were on your safari vehicle which is great. Chatting about the day’s happenings/ sightings creates a social environment for guests to interact with one another in a convivial setting. I would recommend going to Kruger/Sabi Sands during July- October, still within their ‘winter period’. Although the land may by be dry and hot, I feel this time of the year offers much better sightings, whereas in the summer period, when they receive their summer rain, the animals often seek shelter and are harder to spot on game drives.